A sound knowledge of the structure and function of the human body in all of its intricacies is the foundation of medical education. 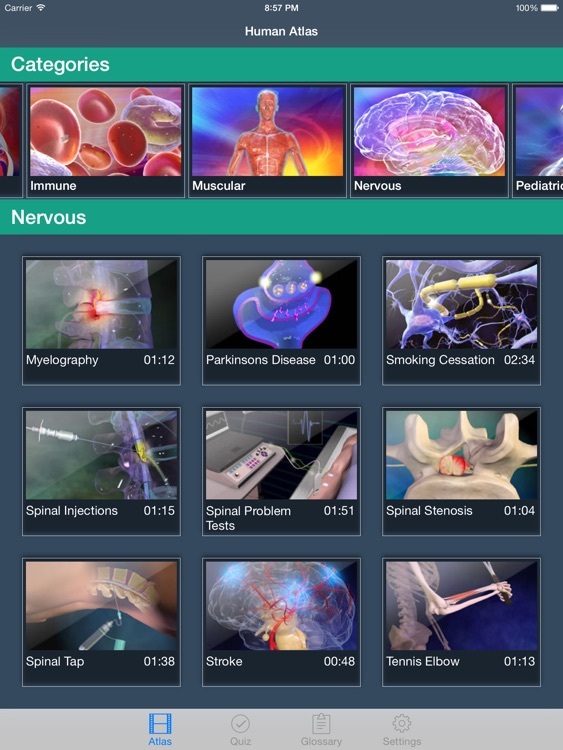 The Physiology Human Atlas is one such tool that provides enormous ways to learn, review and teach the human anatomical systems and their physiology. As a learning tool it is the first of its kind to provide in depth details about the systems covered through 3D animation of OVER 400 MINUTES. The systems are elucidated through very graphic, life-like animations. Such a learning tool has never been attempted before and is ideal for e-learning. 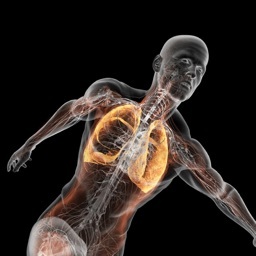 In this Animated Atlas the anatomy and physiology is organized according to the biological systems of the human body. The Atlas deals with the biology of ALL essential body systems and helps any student of medicine to cope with their peers. 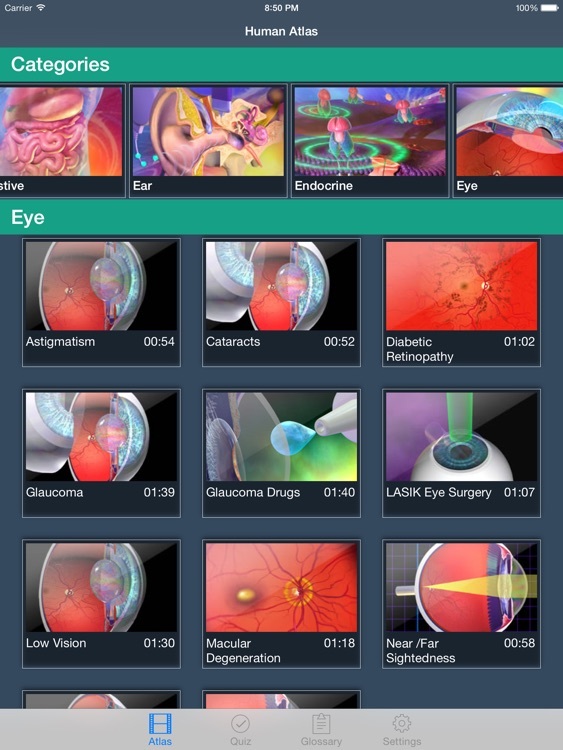 -The powerful 3D animations accompanied by narration impacts the viewer instantaneously. -Each system is dealt as a chapter which provides all the details required for understanding how that system functions. -The Atlas is user-friendly and allows for easy navigation to any section anytime. 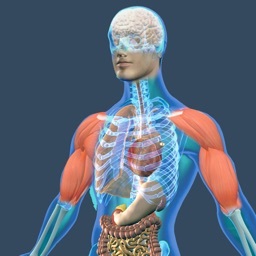 -An excellent and MUST REFERENCE material for understanding human anatomy and physiology. 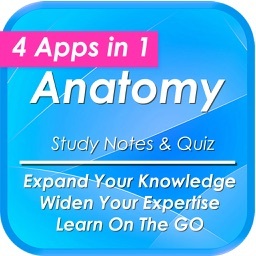 -Addition, this app contains a quiz which invites you to test your knowledge of human anatomy. 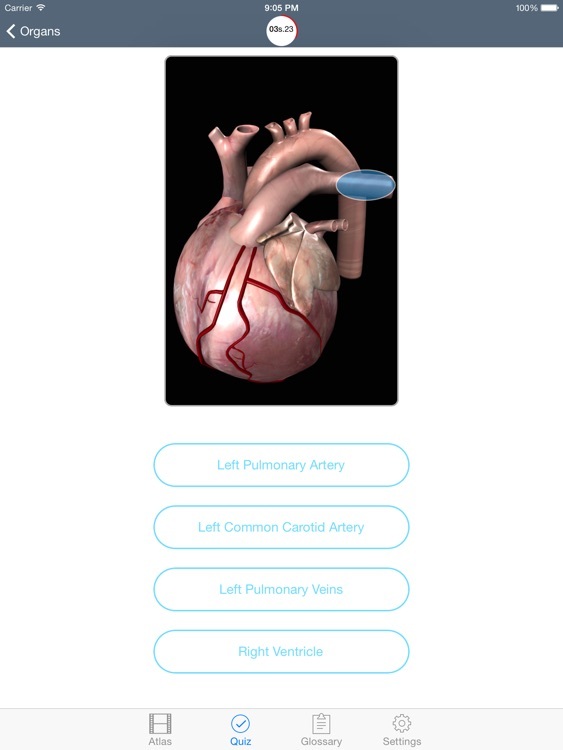 It may be used for testing and educational purposes for people well-informed about the anatomy. 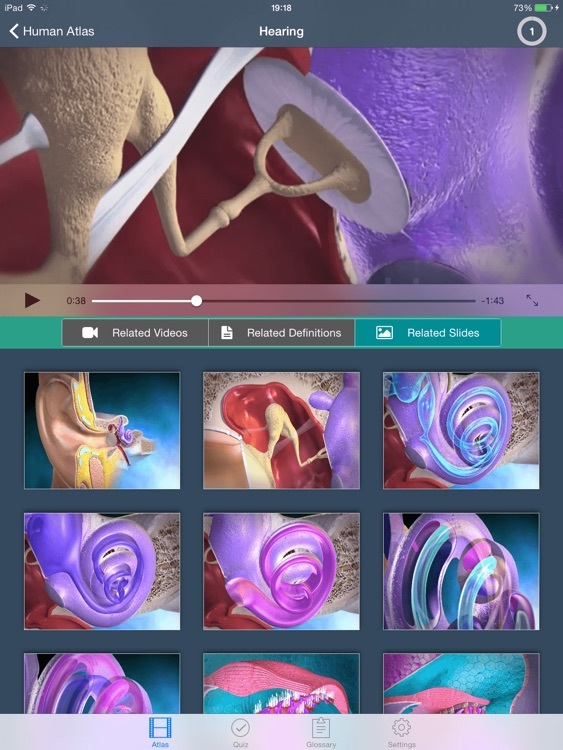 You can learn anatomy easily with this unique quiz app that features traditional multiple-choice quizzes on 416 structures, or our new quiz style where you match a name to one of four images. You can make your own quizzes, or have the app quiz you only on what you have missed. 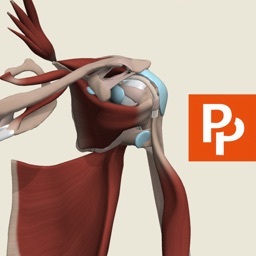 Includes over 416 anatomical structures in beautiful 3d renderings. 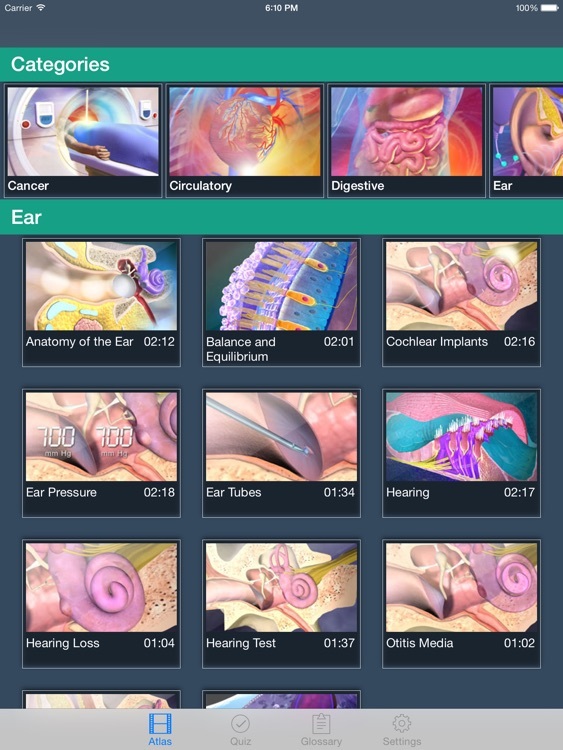 The topics include 167 bones and landmarks, 138 muscles, and 111 organ images. -Turn on the timer option for an extra challenge! 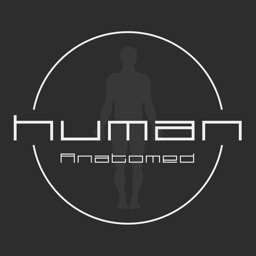 Learning about human systems, their anatomical positions and functions was never so easy!